Chatbots are everywhere. Going from zero to bot is all the rage with developers hitting the golden mark of 100,000 unique bots on Facebook Messenger – the most popular messaging platform for chatbot developers. But can non-coders build a bot without writing hundreds of lines of code. And if you wish to go for a technical chatbot, there are a lot of enterprise options to choose from such as IBM Watson Conversation Service that comes with a free subscription and has three main components – intents, entities, dialog. Then there are platforms such as Semantic Machines – a proprietary conversational AI which leverages NLG technology. Microsoft Azure Bot service also comes for a free trial, moreover Microsoft Bot Framework is open source, completely free and comes with both AI and NLP support. Despite a bunch of bot-building solutions – IBM Watson is the first choice for 60 per cent of businesses. One of the Watson’s most important parts is a Conversation Service. Even though enterprise-ready bot building tools come with high technology features and provide a wide range of possibilities, its complexity is exponentially higher. But creating a sophisticated bot requires some coding and advanced machine learning which will appear intimidating. The general consensus is that UI based bot builder such as ManyChat tend to get complex. 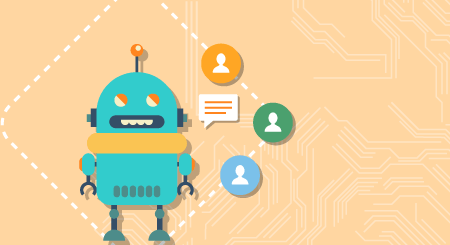 In case you want to have a stab at developing your own bot, we have chalked down a clear path. 1) Get The Definition of Bot: First up, let’s clear the definition of bots vs chatbots vs digital assistants as outlined by Chetan More from Thinqloud. Bots are software designed to automate tasks over the Internet such as Search engine, Malicious programs etc. a)Code Everything Yourself: You can code it from scratch through open source libraries such as Natural Language Tooklkit’s (NLTK), Java-based Stanford Library NLP to create your own NLU. Flow + NLU DIY platforms: According to Jain, ChatterOn gives the users a simple dashboard to build AI based chatbots without any coding and users can get started in under ten minutes. It allows users to create both NLU and flow on the platform, thereby saving time on building and deploying a chatbot. Meanwhile, Botrr has garnered a lot of popularity for being the best enterprise on-premise bot framework that can help users develop chatbot in a matter of hours. Flow Only platforms: Meanwhile, platforms like ChatFuel (you can build a Facebook bot in just seven minutes) enables one to choose from existing templates or create the bot with an easy to use interface. Users can make only Facebook specific bots with rich UI elements directly from the platform. Here’s our shot at the first basic FB bot developed via Chatfuel. One can add more blocks to get the conversation going and provide more information. It provides a clear workflow on developing a chatbot and get analytics updates once you expand the user base beyond 3. Drag & Drop: Botsify.com is another popular FB Messenger chatbot platform and comes with a set of templates to choose from. You can easily create a chatbot for your website, FB and even an Alexa Skill Bot. The platform provides a drag-and-drop UI to create bots and allows in-app integrations. The platform is easy to use and just like for Chatfuel, one needs to integrate it with the FB account, write commands for the bot, test it out and invite the audience to gauge how well it works. Here’s a great piece of advice from Glenn Martin, creator of JeezusBot. Once you made your bot, users should follow this path Measure & < Evaluate to improve interactions and make it popular. Today, there are a spate of cookie-cutter chatbot development platforms for FB Messenger which makes it easy to float a bot (marketing, customer service, etc) easy, but here’s the most crucial part. How does one improve interaction, increase engagement & iterate and most importantly quantify the value of the bot developed for your business? He further adds that if a person is already familiar with your brand or website, he/she would have a different set of expectations from the bot and would seek deeper and more meaningful information. With bots being pegged as the future of sales, bots have aced the customer experience better than human-to-human chat exchange. The explosion of messaging services has exponentially changed the way companies interact with their customers. According to a research, more than two billion messages were exchanged between people and companies every month on Facebook Messenger. An enriched bot experience is better than standalone human-to-human exchange, delivering a more guided user experience. 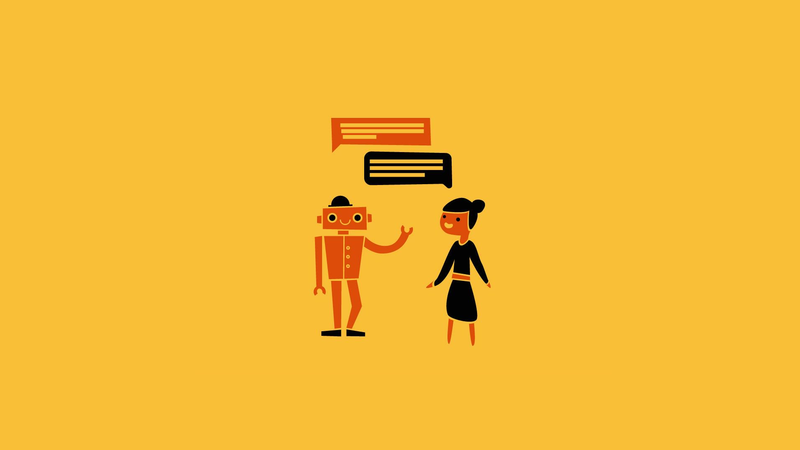 The bot experience can be improved by adding prompt buttons, visual cues and text conversations to offer a better customer experience.